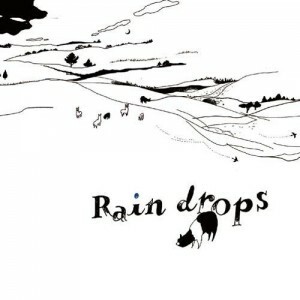 Raindrops is the first album by Naoyuki Sato with songs from his NekomataMaster alias from various BEMANI games, also including a number of new original tracks. Sato’s NekomataMaster alias makes use of a signature light electronica sound often with added asian and exotic instruments, at times giving the song a feeling that transcends settings or time periods. These works are distinct from his NekomataMaster+ alias which is reserved for his harder style tracks. Most of the tracks from BEMANI games have already received full versions elsewhere, but Raindrops compiles these into one unique, cohesive experience that is entertaining and at many times quite beautiful. The album opens with a one of four new tracks, “Raindrops #1 [Aqua]”. 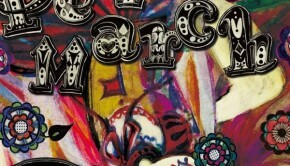 The three short “Raindrop” tracks are all loose variations on a single theme, and they encapsulate the album. “Aqua” starts with some rain effects and a metronomic pace. The introduction is fairly straightforward with light chimes and melody, and eventually Sato adds on some of that exotic instrumentation that he’s known for. There isn’t too much going on, but it opens the album well. At the mid-point of the album is “Raindrops #2 [Station]”, which has the same atmosphere but is considerably jazzier, featuring relaxed piano work with an emotive saxophone later on. The track has a bit of a vintage feel to it, distinct from the others and to its benefit. “Raindrops #3 [Park]” closes out the album, replacing the sounds of rain with the sounds of playing children. The melody here has a bit of melancholy, contrasted with some modern touches. It’s in keeping with a large portion of Raindrops, but also foreshadows what will come in his future work. 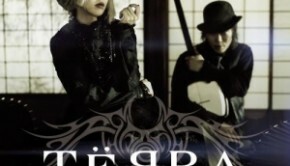 “Smile of Split” is the other new track, following “Aqua”, and it is a full-length song. Sato allows a surprising amount of influence from his NekomataMaster+ alias in, using modern drum loops, a number of vocals samples, sound effects, higher energy, and a more significant amount of synth work. It’s a much more experimental track than those which make up rest of the album, but it still mostly fits in due to its more bubbly synths and the inclusion of softer acoustic sounds. It’s an odd placement for the track, since this sound is something that the Sato is just beginning to explore, but it’s still a great and unique track amongst the rest. The large bulk of the album is a good representation of the Sato’s unique NekomataMaster sound. 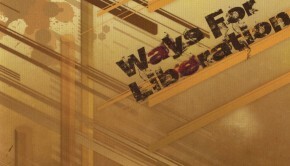 These tracks are often have verse-chorus structures and lyrical melodies, played on mixtures of exotic instruments with the occasional modern drum loops. “Beyond the Earth” embodies this with an exciting tribal arrangement including various samples of chanting, while “Like Blossoms Dancing in the Moon and Snow” carries a more oriental air to it, and “Greening” takes on a heavier electronica sound. While these have good variation, most other tracks do not deviate from this sound quite enough, often using the same instruments or different combinations of them in a mid-tempo range with a generally positive tone. So while it is all enjoyable and different from other albums, it can be difficult at times to distinguish between tracks. The extensions to the tracks that are new from the in-game originals for the most part are just fine, not often adding a much new to the track but also not needlessly repeating segments (and “Caring Dance” is actually slightly shorter than the long version from the pop’n music 15 soundtrack). Sato does manage to place unique and standout tracks throughout the album. 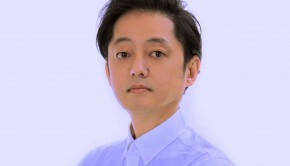 “dahaca” is Sato’s remix of Norikazu Miura’s “The Dahak’s Departure” from Genso Suikoden V, and first appeared in IIDX 11 RED under the name “水上の提督”. The lengthening is largely superficial other than a short new, spacier section, but it’s already such a great track that this isn’t too bad of a thing. “Reflection Into the EDEN” is more modern-sounding and piano-centric than the others, with an infectious rhythm and a wonderfully soothing foundation. There’s a lot going on in this piece but all the elements work together impeccably to create a layered experience that is simply a pleasure to listen to. “Sayonara Heaven” for the most part is typical of the album, but it has a unique new breakdown for a bridge that has an abrupt switch to an atmospheric segment led by an acoustic guitar. It’s strange at first, but the steady return to the chorus is interesting and gives the entire track a new perspective. These tracks are still distinctly NekomataMaster, but they represent his best work under the alias and highlight the flexibility and artistry of his unique sound. The other three standouts are vocal tracks. “The Smile of You” is the English version Sato’s theme song for Elebits, sung airily by JESSY (identical to the OST version). The light pop track doesn’t actually have a lot of the unique markings of the NekomataMaster alias, but it’s got real charm to it that is hard to resist. Joelle Strother replaces Sana for an new English version of “Infinity of Our Love”, which is fairly similar in style to “The Smile of You” (having the genre “ELEBITS POP” in-game). While not quite as good as Sana’s original, it’s a decent translation effort and still an enjoyable, bright song. The best of the vocal tracks is easily “Indigo Bird”, originally released on Konami Music Full. The arrangement is much closer to the NekomataMaster sound, but what elevates that track is the wistful melody subtly delivered by Sana, and the heartbreaking, poetic lyrics that she sings. Sato doesn’t overplay anything on the track and rather allows the subject matter to speak for itself, which is very effective and makes the track easy to return to time after time. Raindrops is an enjoyable first album as NekomataMaster from Sato, compiling most of his Bemani work from the alias to date into one place. HIs compositions, though mostly instrumental, are quite lyrical and have a unique sound to them, fusing old and traditional with the new and modern. Although this admittedly can get a bit tired throughout the album, there are some real gems that stand out among the rest, and the rest aren’t bad by any means. There are some moments in the album that begin to show a growth in Sato’s sound for this alias, and it promises more strong work to come as he continues to master this sound and style. Posted on March 24, 2015 by Christopher Huynh. Last modified on March 30, 2015.